When I think of protecting Liam I think of so many things I do daily. I put sunscreen on him before school so he doesn’t get sunburn on the playground. We put on bug spray before walks so we don’t get bug bites. I don’t post pictures of him publicly to protect his privacy. I use the best possible diaper rash cream to make sure his most sensitive parts are protected. Protecting your babies isn’t just one thing, it’s everything. When Liam was born, or even before he was born, I wanted to make sure everything we had for him was THE BEST. I didn’t care what I had to sacrifice for myself as long as he had what was best. When it came to diaper rash cream I asked everyone and did all the research. Of course we chose Balmex Complete Protection. From the beginning we have had the best experiences. When Liam was 10 weeks old he got a HORRIBLE stomach bug. 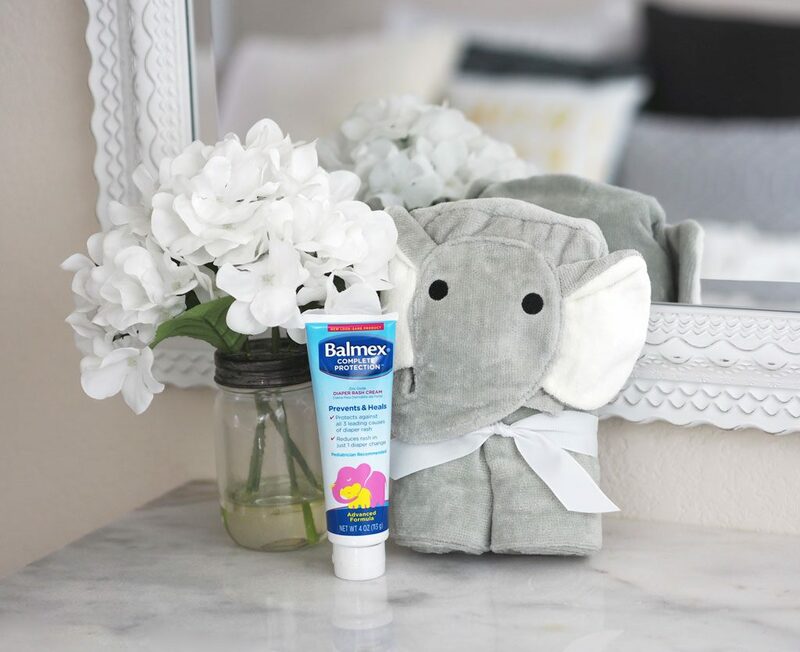 As new parents we were so scared and when our Pediatrician said to use Balmex (which we already used) we knew it would be okay for his sensitive skin. Surely enough he was fine and Balmex worked. Plus when we introduced solids to Liam it increased the chance and frequency of diaper rash. Sorry, but that’s just the reality! Instead of just using Balmex when he had a diaper rash we use it for every diaper change! It’s honestly a great habit to get into and really slowed down the occurrence of diaper rash! WIN! 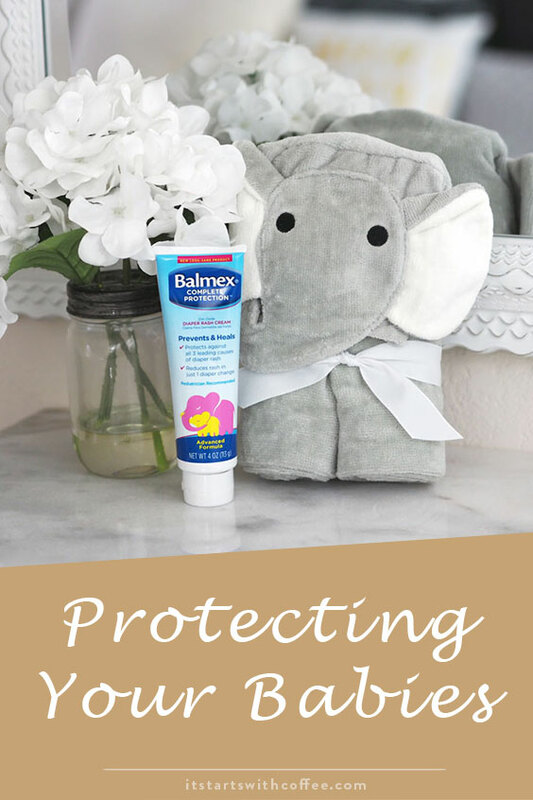 When used at every diaper change, Balmex helps protect your baby’s skin, and prevents diaper rash from occurring. Cut to recently, he had maybe the worst sickness he has ever had. He was very lethargic, and his whole body was in pain. We were so concerned with keeping his sensitive parts protected and once again Balmex to the rescue. Balmex’s complete protection formula not only prevents rash but also helps heal an existing rash quickly by preventing the enzymes from aggravating the rash further. Balmex has been clinically shown to reduce diaper rash in just one diaper change. Balmex contains the #1 doctor recommended ingredient for the treatment of diaper rash plus Vitamins B5 and E to soothe irritated skin. I think it’s easy in a world with so many choices to not know what to use. I know my mom used Balmex and everyone I know grew up with it. So of course for us it’s still the number one choice. Balmex has been the number one choice of Pediatricians for over 65 years! Balmex protects your baby’s against the 3 leading causes of diaper rash: wetness, skin chafing, and digestive enzymes found in dirty diapers. If you are a mom, mom to be, or are thinking of having kiddos, Balmex is for sure something to have in your diaper bag and on your changing table. Protecting your babies is our number one job as moms. So why use anything less than the best? Thank you to Balmex for partnering on this post. Thanks I call them his jailbird PJs! It’s funny. We used that exact product on our girls! Not because of brand recognition, it is what the pharmacist recommended! These PJs are so cute! I’ll have to tell my niece about Balmex. She has a little guy who is six months old! Diaper rash cream is the BEST thing ever. My kids have excema but not enough to warrant medication but diaper rash cream works amazing on it. OR in the winter when they get chapped cheeks and chin? Diaper rash cream. Literally any part of their body that gets a little red/chapped/flaky/etc you can use diaper rash cream on. Or you. I get a little chub rub when I work out on my thighs and it works on that too. No joke. I have so much of it in my house because we use it all the time. I always thought it was so hard to deal with diaper rashes. It just broke my heart. It is good that there are such effective creams.